Glossy is a collection of tables ideal for both for the home and the office, characterized by a sophisticated design and elegant finishing. 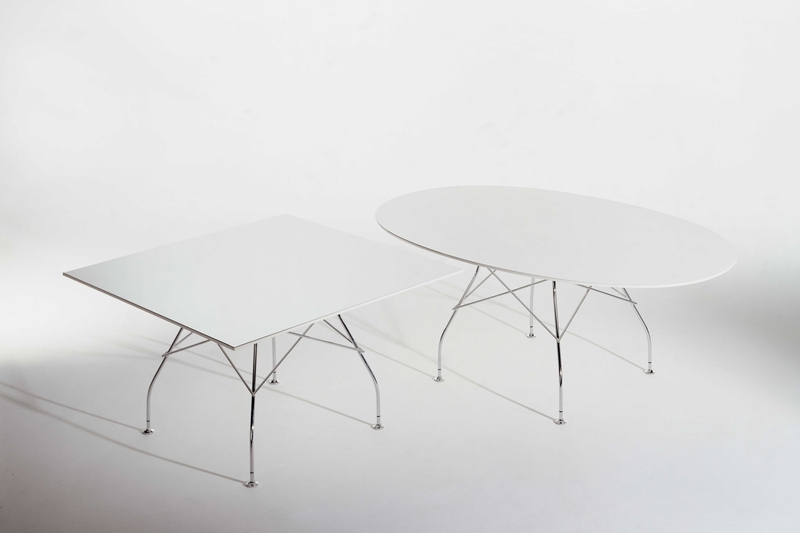 The light, chromed steel structure criss-crosses and connects the legs on each of the four sides to support a polished polyester or laminate top. The collection comes in square, oval and round versions (packed into a practical flat package) and is available in three elegant colours: black, white and Kartell red. Easily combined with other items, the square tables can bring work surfaces to life even in the most prominent areas of the office, such as the meeting room. Also ideal as a dining table for the home.